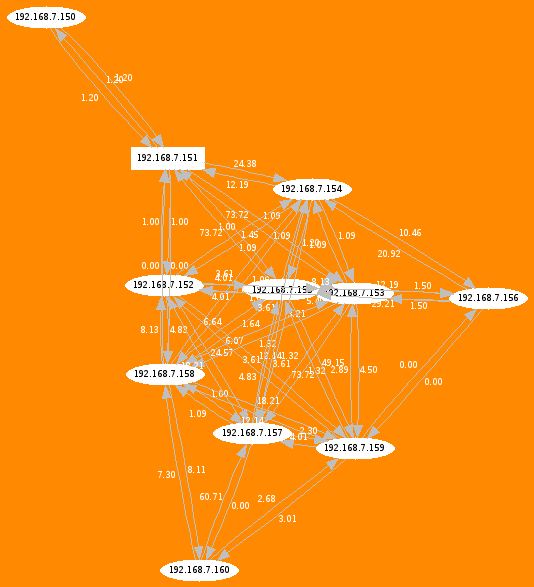 This image shows the network topology of the mesh network created by Hivenetworks in Southampton for the Hidden Histories project. Interestingly, it is not really congruent with the physical topology. You can clearly identify the gateway and from there it goes to node 1 but then it gets all meshy, and this is exactly what you want. Each node 'sees' more than just one other node, some have 4 connections. Well, lets see what will happen when the trees grow leaves.